The University of Maryland is committed to creating a welcoming and inclusive campus free from hate, where our community feels physically safe and safe to be who they are. The university has undertaken many actions to accomplish these goals, and significant work is still underway. This page will be updated regularly to reflect our progress. Partnered with the Anti-Defamation League on trainings for the President’s Cabinet and Deans. Established and charged the Joint President/Senate Inclusion & Respect Task Force to consider how best to nurture a climate that is more respectful and inclusive of all members of our campus community, stands against hate, and reaffirms the values that define us a University. The report was released May 2018. Developed a streamlined protocol for hate-bias incident response that will ensure a coordinated response, provide support to impacted community members and ensure transparency with the campus community. Implemented a university-wide survey on campus climate to help us better understand the experiences of students, faculty, staff, and administrators on our campus with respect to diversity, inclusion, equity, hate, bias, well-being, and belongingness. We will use the findings from this research to help inform and shape policies and practices that promote a safe and welcoming campus. 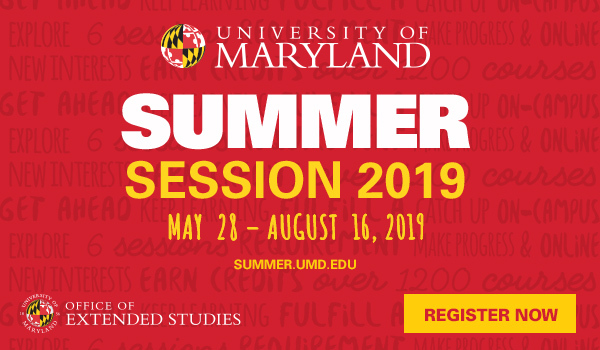 Developed “African-American History and the University of Maryland: A Campus Landmark Tour” that focuses in on the historic and contemporary presence and contributions of African Americans to the physical and social infrastructure of the university. 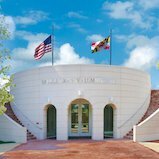 The walking tour is grounded in the complex histories of the institution and the State of Maryland - conveying the complexity of racial politics and slavery as it has impacted the state's flagship institution. 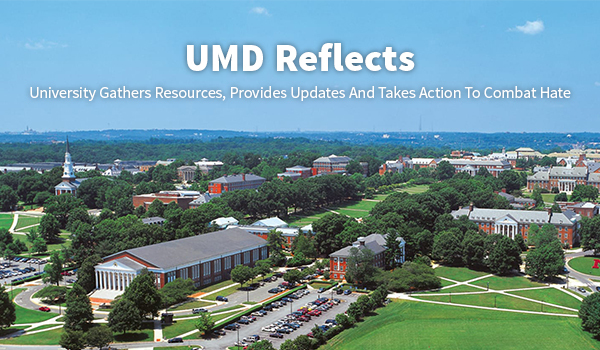 Established a UMD Student Leadership Council for Diversity, Equity, and Inclusion to help focus and improve collaboration between students and the administration. Hosted Congressman John Lewis on campus in October 2017 to discuss his acclaimed book “March: Book Three,” which was selected as this year’s First Year Book. The 2016 National Book Award-winning graphic memoir is about Lewis’ landmark civil rights work. Held various community listening sessions, gatherings and open forums to hear from campus and understand how to better take care of each other. Launched the Center on Diversity and Inclusion in Higher Education, a national hub for research, policy, professional standards, and consultation for universities on critical issues related to diversity and inclusion in higher education. Organized a weekly discussion series for faculty and staff, "Solutions in Action: Countering Divisiveness,” hosted by the Office of Undergraduate Studies, to work to understand the complex problems of hate and divisiveness. About one hundred people attended each session. Welcomed U.S. Rep. Anthony Brown to speak on campus about the emerging national discourse on race, hate-bias incidents, campus climate and the path forward in August 2017. Strengthened Intercollegiate Athletics policy to explicitly prohibit hate-bias symbols or actions to its list of items banned from athletic venues. Continued the Maryland Dialogues program, led by the Provost, the Chief Diversity Officer and the VP for Student Affairs. 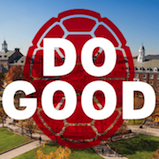 Funded two new programs through the Provost and Deans of the various colleges that started this fall to advance diversity and inclusion in faculty research, teaching, and service. Completed mandatory training in implicit racial bias for the entire force of 100+ sworn UMPD officers. Installed additional surveillance cameras in and around campus buildings. Formed a Hate-Bias Response Team to assist victims of hate and bias on campus. Hired a Hate-Bias Response Program Manager in the Office of Diversity & Inclusion who provides leadership for the newly established Hate-Bias Response Team; formulates action plans in coordination with the Hate-Bias Response Team; work with individuals and/or groups affected by any hate-bias incidents; and is available for support and guidance to individuals and communities affected by hate-bias incidents. Updated the Code of Student Conduct to include a provision that violations of the Code found to be motivated by bias may result in a more severe sanction. This work was led by the University Senate’s Student Conduct Committee. Elevated the Chief Diversity Officer position to Vice President of Diversity and Inclusion, a sign that the work of diversity and inclusion must be at the center, not at the periphery, of the university, and that advancing these values is essential to the excellence of our institutional mission. Created a Hate-Bias report log to collect and publish information on all hate-bias incidents on campus on a regular basis through the Hate-Bias response program. Considering whether symbols and objects of hate and intimidation should be prohibited in campus facilities. This work is being led by the University Senate’s Campus Affairs Committee. Revisiting and updating the Diversity Strategic Plan, which will be informed by the Joint Task Force and campus climate research, along with the voices of faculty, students and staff serving on the President's Commissions and the Student Leadership Council. Reviewing the general education requirement on diversity and cultural competence to ascertain any needed improvements. Launched by the Provost, the working group will be collaborating with the Joint Task Force. Redesigning the ODI website to serve as a central resource for information about diversity-related programming, events, policies, data, climate reports, reporting processes.